Currently more than two-thirds of those who have diabetes in Africa are unaware they have have it—meaning the continent has the highest proportion of undiagnosed diabetes, and last year more than 321,100 deaths on the continent was attributed to the disease. This includes mothers and pregnant women already at risk of death and long-term illnesses due to limited paternal care and health information. At the Wellbeing Foundation Africa, we focus on attaining Sustainable Development Goal 3 (SDG 3) and Goal 5 (SDG 5), to ensure healthy lives and promote well-being for all at all ages and to end all forms of discrimination against women and girls. 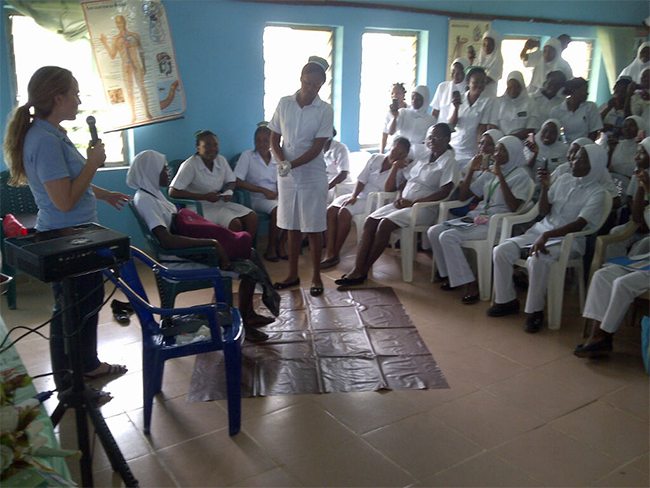 Non-communicable diseases like diabetes for a woman in a country like Nigeria can be life threatening and if she chooses to have a family her chances of conceiving, surviving her pregnancy and delivering a healthy baby, can be hugely influenced by a skilled midwife. For instance, a pregnant woman is at risk of getting gestational diabetes—a form of the illness that is caused by pregnancy, and while most women go back to normal health after delivery, more than 50% of women develop type 2 diabetes within 5-10 years of delivery. Additionally, their children are more likely to be overweight or obese, and have a higher risk of developing type 2 diabetes at some stage in their life. For many women this is serious but can be managed through their country’s healthcare system. For women in a developing country, this can be life-threatening. Midwifery is a proven force for preventing and treating gestational diabetes, and transforming reproductive, maternal, newborn, child and adolescent health (RMNCAH) in low and middle income countries. The care provided by midwives is one of the most strategic interventions for health and the world’s most powerful weapons in improving RMNCAH. A Lancet Series report from June 2014, backed this claim by finding that an increase of access to midwives by just 25% could halve maternal mortality. 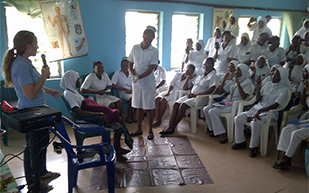 As we move towards achieving SDG 3, we need more skilled midwives to improve RMNCAH and wellbeing for all, at all ages. We know that investing in reproductive health services pays off. For ever y $1 that is spent on family planning services, up to $4 is saved on maternal or newborn health costs. Yet, in developing regions, a quarter of women who want to access contraception are unable to do so. This unmet need for modern contraception and reproductive health advice can be cost-effectively met by access to skilled midwives. Coupled with extra spending on diabetes screening tests, this could transform the impact of gestational diabetes in low and middle-income countries. Skilled local midwives understand the communities they serve, the mothers they treat, and the solutions needed for their patients. As a trusted source for advice, skilled mid-wives can provide locally available and culturally acceptable contraceptive methods, as well as advising mothers on important health issues such as diet, breastfeeding, early childhood health and how to manage illnesses like diabetes. Moreover, midwives are uniquely placed to educate women about how to identify abnormalities in their body, which could lead to a diagnosis of an illness, meaning they can then receive the necessary care to manage their symptoms. And education starts in adolescent girls, helping them to understand their reproductive health and options for delaying pregnancy. In Nigeria and other sub-Saharan African nations, educating our girls about their reproductive health is vital to ensuring they can survive childbirth, and is even more crucial for women with long term illnesses like diabetes, whether known or unknown to them. We make sure that every woman and every adolescent girl has access this life-saving care and information. At present many African countries offer selective screening for gestational diabetes, although it’s unclear how many pregnant women receive this, as the data on this form of the disease is very limited, making it difficult to suggest improvements and policy changes for screening. We must urgently implement frameworks that enable countries to apply global best practice models to improve national policies and programmes for midwifery services and ensure such services include diabetes care and information. For example the WBFA’s Personal Health Records (PHR), which is a detailed health record for mother and child from pregnancy until the child is five, capturing valuable data which allows for disease prevention and management. The PHR can pick up factors which increase the risk of gestational diabetes, such as family health history, age, previous maternal experience and obesity, making it a life-saving mechanism to fight diabetes in developing countries. Frameworks such as these will enable women to know how and when to call their midwife for reproductive care, especially if they are managing a non-communicable disease like diabetes. So, through the incredible work of midwives, mothers and pregnant women can be taught how to identify and manage symptoms of gestational diabetes and type 2. And over the next five pieces, we continue to look at how we can scale up prevention, strengthen care, and enhance surveillance of diabetes specifically in relation to maternal, newborn, child and adolescent health.